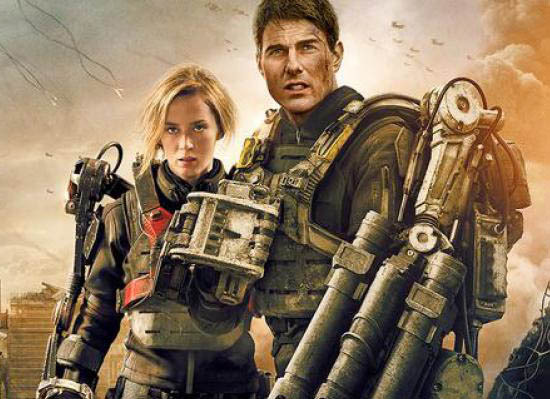 Warner Bros. has found an innovative way to promote director Doug Liman's sci-fi actioner Edge of Tomorrow, starring Tom Cruise and Emily Blunt. On May 28, both stars will take part in a worldwide event whereupon, for the first time ever, three fan premieres will be held in three different countries in just one day, “resetting” the red carpet as Cruise and Blunt race the clock to make each event before time runs out! In the film, Cruise’s character relives the events of one day over and over in an epic battle to save the world. The story begins as he arrives in London, making that city the perfect place to kick off this global event. All times are local: · 7:00 a.m. inaugural premiere kicks off on the carpet in London, with a 9:00 a.m. screening. The film takes both characters to France, where they face off against an insurmountable army of alien invaders. · 2:00 p.m. red carpet in Paris, screening at 4:00 p.m. The final premiere will take the stars back to the U.S. · 10:00 p.m. red carpet in New York City, with the final screening — on the edge of tomorrow — at 11:59 p.m. Between cities, Cruise, Blunt and Liman will interact with fans via social media as they jet from country to country. A contingent of select press will travel to each premiere, covering the events as they unfold. There will be live stream components for each of the three events. Those fans on the ground can network via social media using #EOTLive. Opening in 3D, 2D and IMAX 3D theaters on June 6, the sci-fi thriller also stars Bill Paxton, Jeremy Piven, Ciaran Hinds, Noah Taylor, Kick Gurry, Dragomir Mrsic, Charlotte Riley, Jonas Armstrong, Franz Drameh, Masayoshi Haneda and Tony Way. The movie is based on the acclaimed novel "All You Need is Kill" by Hiroshi Sakurazaka.